The relationship between the staff, residents and surrounding community is an important factor when choosing a retirement center. According to the 2013 U.S. of Aging Survey, seniors put top value on staying connected with friends and family as a way to live a fulfilling retirement lifestyle. In fact, 40 percent of seniors rate these relationships higher than having financial means. Remaining social is comforting, and it can boost seniors' mental health. Striking up conversations, learning new things and interacting with others all help older adults remain mentally alert. 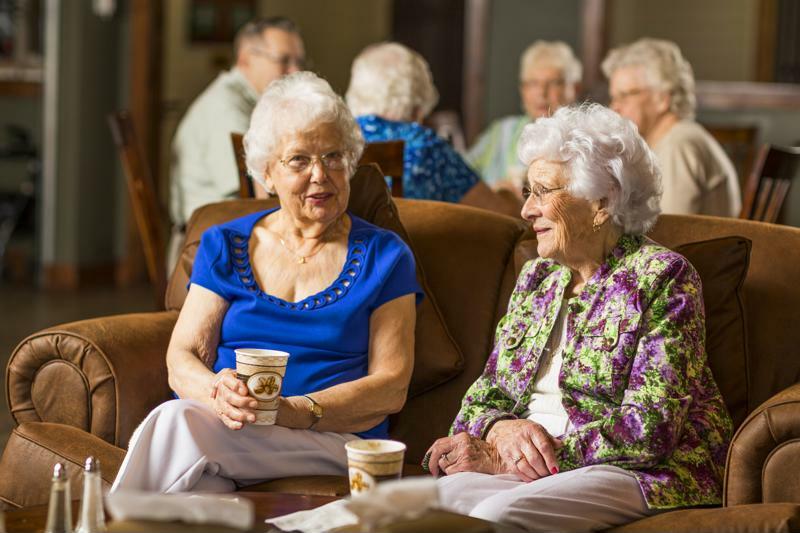 Retirement communities provide many socialization opportunities. When looking at different communities, take note of how friendly the staff and other residents are. Keep in mind the following questions: Are residents and staff interacting with one another? Are there many seniors sitting by themselves? What group activities does this community offer? You'll more than likely have a gut feeling about this feature of an assisted living retirement community. If it's the right fit, you'll be warmly welcomed and at ease. Once you and your senior loved one have selected the perfect retirement community, you'll have to start transferring all of his or her belongings to the new place. Before making the move, take pictures of each room in the former home. Then, once you start moving things into the new apartment, you can arrange items to reflect the style of your senior loved one's previous house. This can greatly help them transition their daily routines into the lifestyle provided at the retirement living center, and it's especially important for the bedroom. The bedroom is a private sanctuary, and disrupting it can lead to anxiety for your senior loved one. Arrange the bed, nightstand and dresser as close to the original setup as possible. After your loved one is all settled in, he or she can start enjoying all the wonderful aspects of retirement living communities. Retirement community staff members understand that staying social and building relationships is important for seniors' well-being and self-esteem – that's why they provide so many opportunities for older adults to engage with one another. Encourage your senior loved one to sign up for a group exercise class, ask a friend to eat in the dining room or invite neighbors over to check out his or her new place. "Visit your loved one as often as possible." With all the chaos of change and adjusting to a foreign environment, your senior loved one will need all the familiarity he or she can get. While pictures and small mementos can help seniors relax, you should also make a point to visit your loved one in their new home as often as possible. Even just an afternoon lunch at the retirement community's dining room or a morning visit for coffee and catching up may be all that's needed for him or her to know you're still there, even if you can't be physically present all the time. According to HelpGuide.org, older adults may feel vulnerable or anxious upon moving to a retirement community, and talking about it can help. Visiting the new community will allow you to be available and sympathetic for your senior loved one. The adjustment may take time, so patience and understanding will go a long way. Help your senior loved one cope with a move by making their retirement community feel like home.